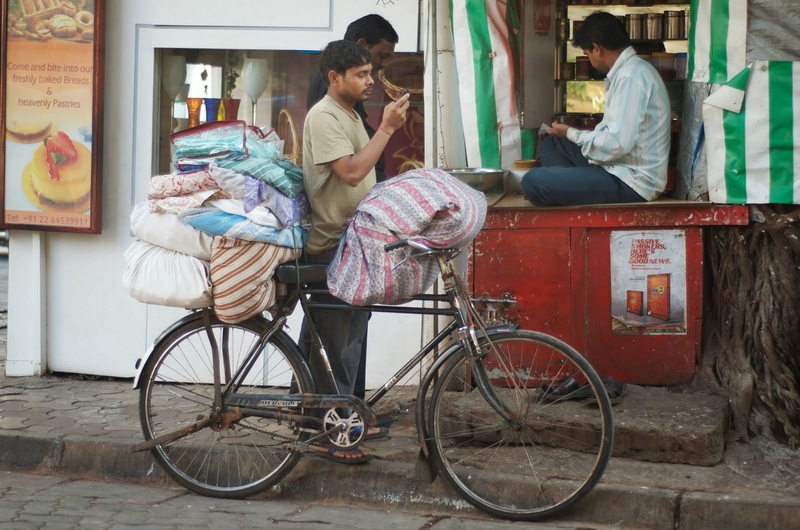 Where would everyday Indian Man be without his bicycle? Sturdy, reliable and with an eternally long life, the Hercules bicycle is as much a packhorse as it is a convenient mode of transport. 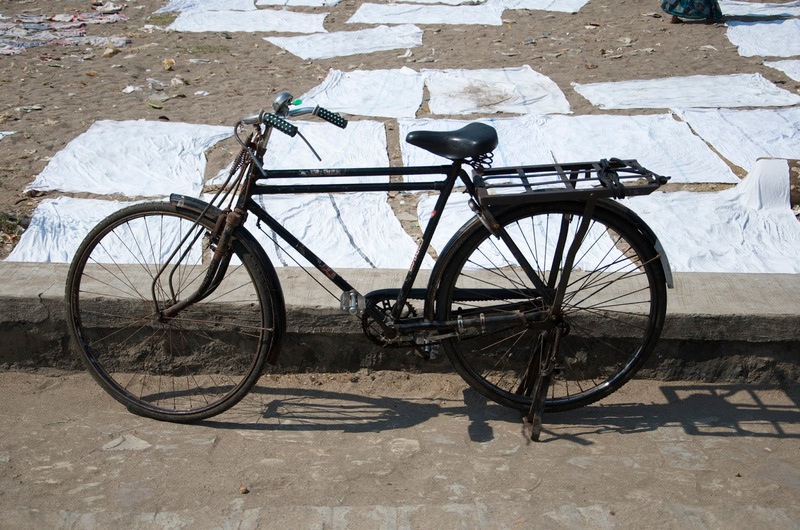 The unchanging simplicity of design makes the Indian Bicycle a 'classic'. 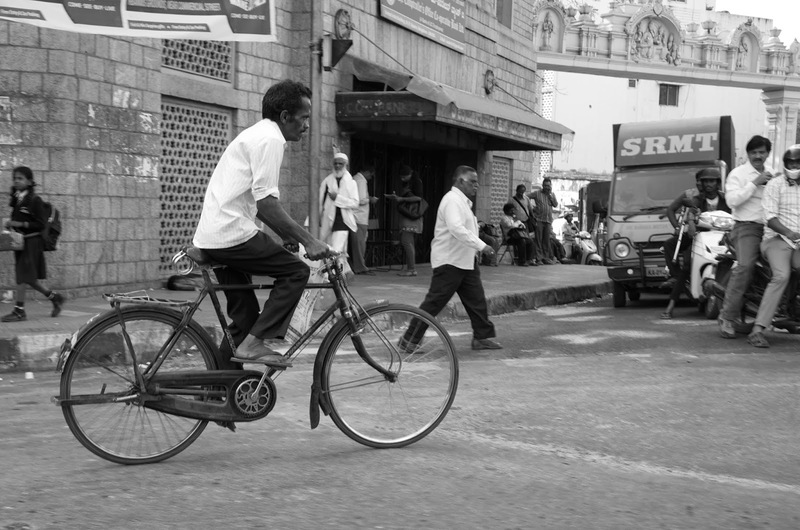 You won't find a working class man riding racers, BMXs or mountain bikes in India. 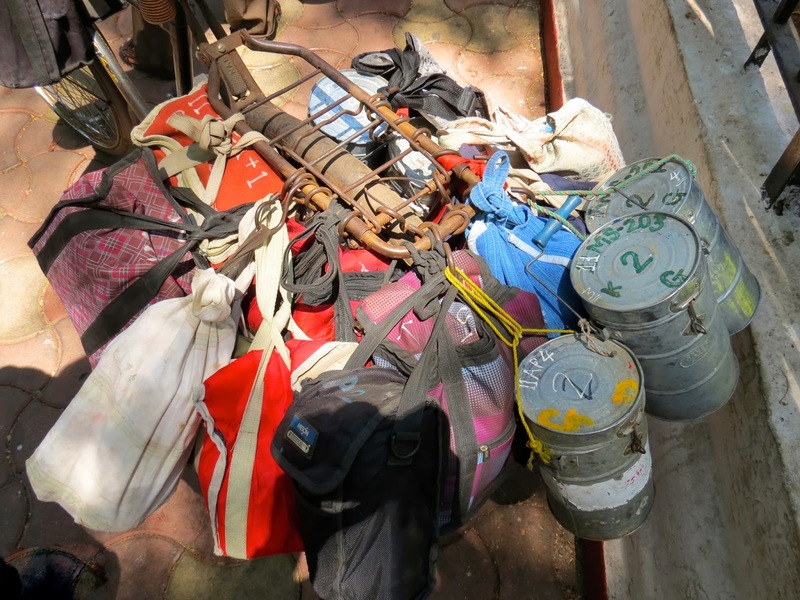 For them, the bike is ridden out of necessity and very rarely as a pastime. In fact, I think I have only ever seen one person wearing Tour de France lycra sports clothing, pedalling a bike for fun. But then you would probably be taking your life into your own hands, if you chose to cycle as a hobby in this city! 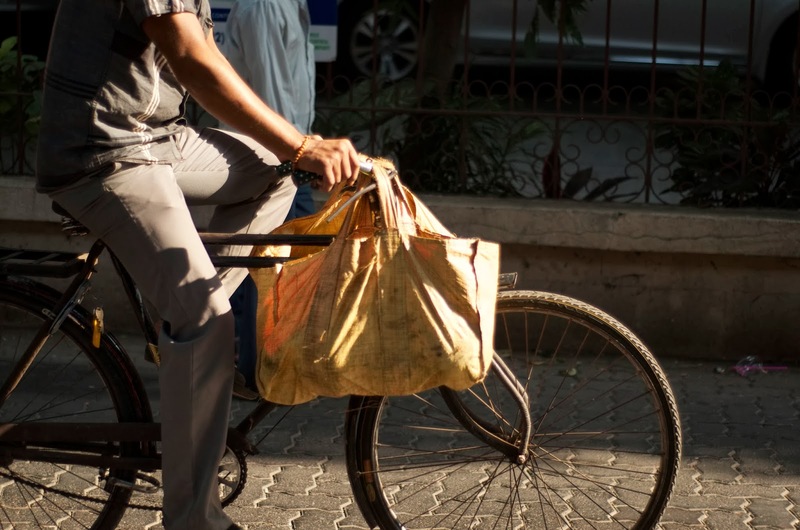 and medical activity for the old"
The Hercules Bicycle is so sturdy and reliable - that it is the workhorse of Mumbai's Dobi and Dabba Wallahs and all manner of delivery men. I love the way that it is also used - through a clever modification to the pedals - as a mobile knife sharpening station. In the city, it is the Lamborghini of the working classes - enabling their riders to zoom past the static traffic of Mumbai's choked up streets. 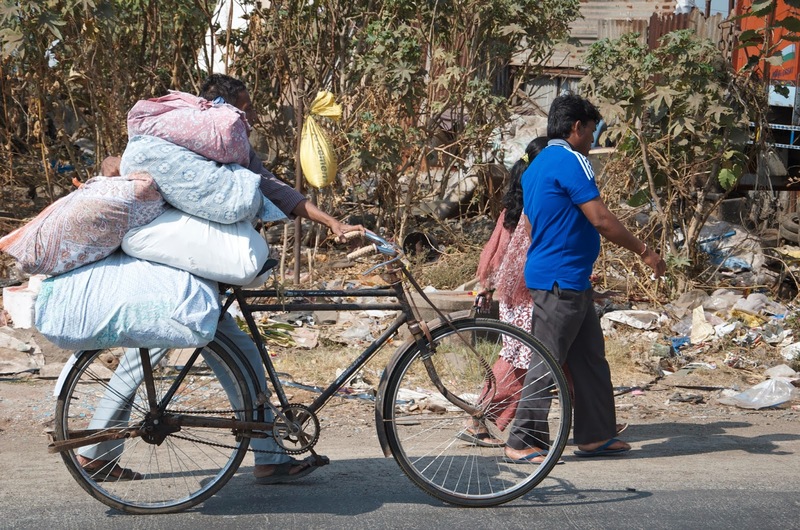 In rural India, the trusty bicycle enables village dwellers to go from village to farm and from the fields to home. I've been all over the country, and it seems that the standard bicycle model is roughly the same. It has an old fashioned (nay, 'classic') shape with an economy of design that has not changed in decades (much like India's favourite taxis - the Hindustan Ambassador or Premier Padmini). From my pictures, you will notice that these bicycles can carry huge weights - probably because of their reinforced stays and double crossbars. 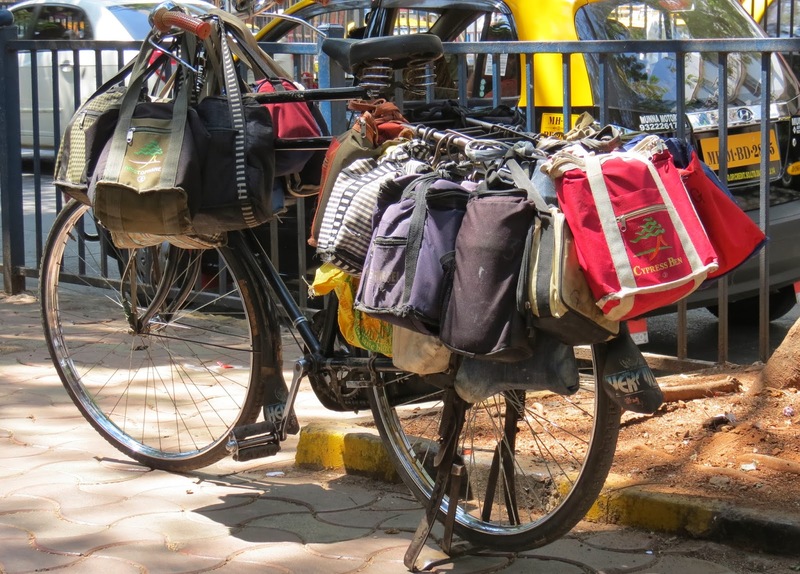 Due to the ubiquity of such cycles, roadside bicycle repairing is a 'profession' in itself and punchars can be easily seen to. 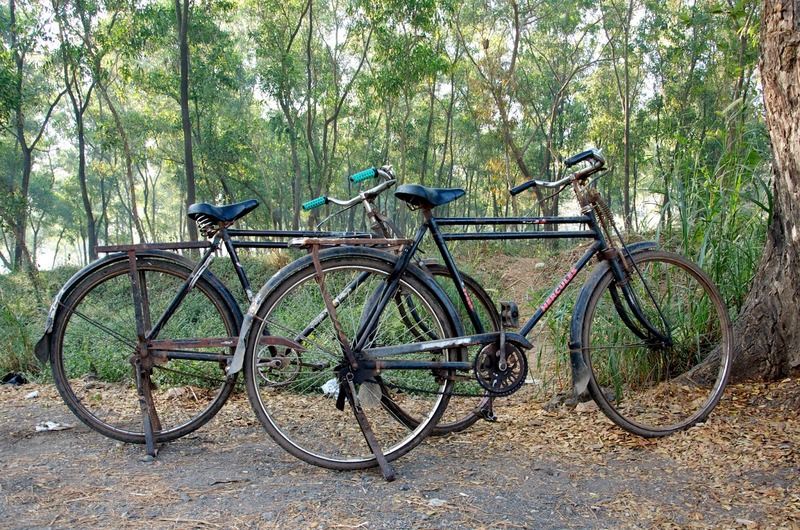 Most of the bikes you see on the roads must have been repaired countless times, kept in families for decades or resold down the line on many occasions. You can probably pick one up for a few hundred rupees. So what is the story behind the Hercules brand? (Hang on a minute whilst I get serious). The Hercules Cycle and Motor Company Limited was a British bicycle manufacturer founded in 1910 by Edmund and Harry Crane in Birmingham. The name Hercules was chosen to signify 'durability and robustness'. At first, Harry assembled the bikes whilst Ted cycled around Birmingham for parts. They went from making 25 to 70 bicycles a week within six months and from there on in, expanded exponentially. 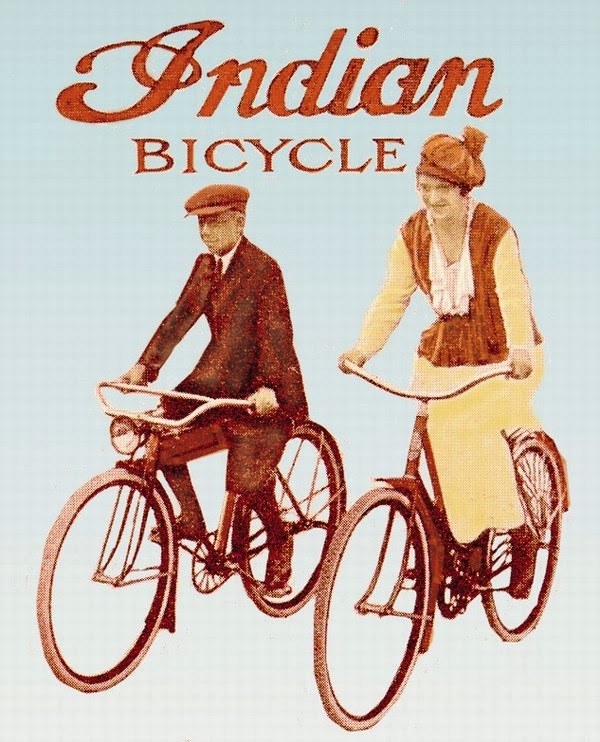 By 1914, they were producing 10,000 bikes a week, occupying a 13 acre site in Aston. The brothers exported a large proportion of their production and by the time Sir Malcolm Campbell was invited to see the three millionth bicycle roll off the line in 1933, over half was being sent overseas - earning them £6m and the congratulations of the King. 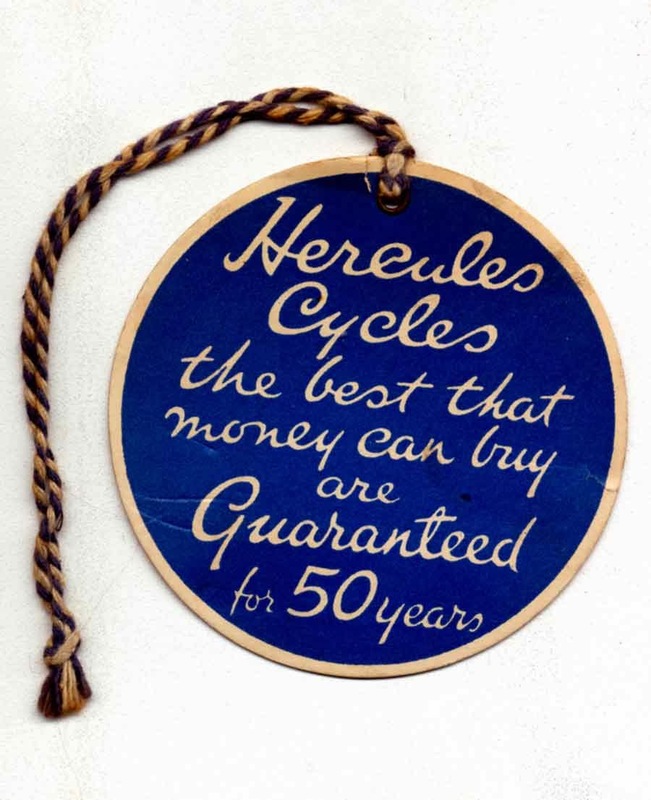 By the end of the 1930s, Hercules had already produced more than six million bicycles and could claim to be the biggest manufacturer of cycles in the world. Hercules bicycle - you can see that the design has not changed in all these years! In 1946, the Cranes sold Hercules to Tube Investments for a mere £3.25m who then combined it with its other brands (including Phillips Cycles, Sun, Armstrong and Norman) to form the British Cycle Corporation subsidiary. 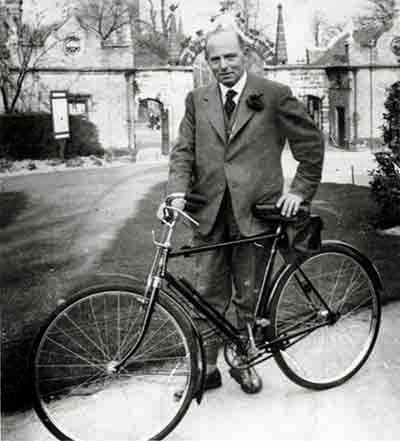 Tube Investments (itself registered in 1919) had previously been the main supplier to Hercules - providing the tubing from which the bicycle frames were made. 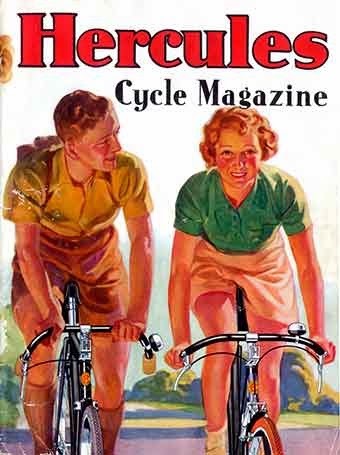 But apparently by then, Hercules had lost its understanding of the racing bicycle market - manufacturing its handlebars in steel when lighter alloys had become the fashion. Plus their bikes only had five gears when ten was the norm. In 1960, Tube Investments also acquired Raleigh and merged the British Cycle Corporation with Raleigh to form TI-Raleigh which had 75% of the UK market. Raleigh itself had already acquired the BSA cycle division from BSA (The Birmingham Small Arms Company) in 1957. 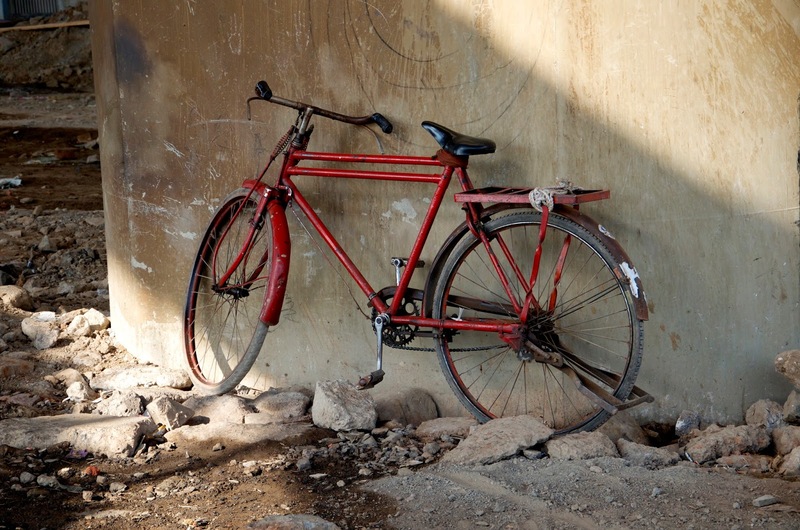 Sadly, the last bicycles displaying the Hercules name were produced by the Raleigh Factory until the name was eventually allowed to die in around 1963. 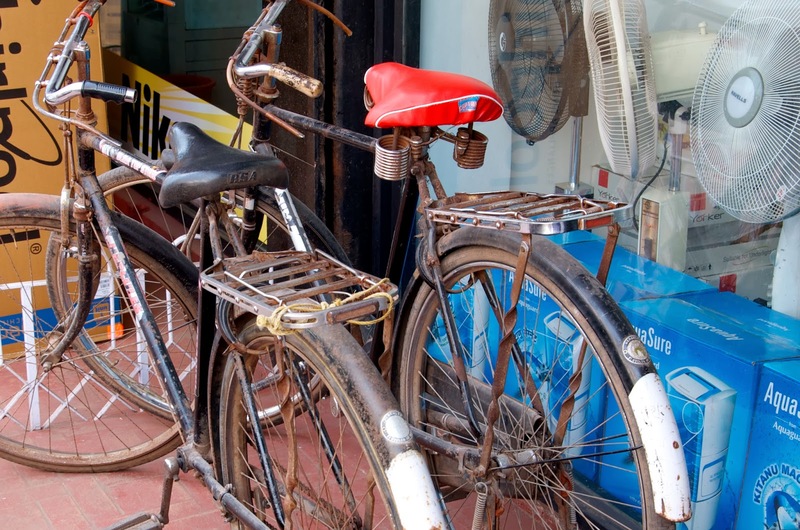 But before the brand died out in the UK, TI Cycles of India was established by the Murugappa Group in 1949 in partnership with Tube Investments of the UK. It had been the vision of AMM Murugappa Chettiar to start a business that would manufacture a product 'for the common man' which they could sell in large numbers. Cycles seemed to fit the bill. The first Hercules bicycles rolled out in 1951 (then the Phillips brand in 1959 and BSA in 1964). Today, TI Cycles has the capacity to manufacture 5.4m bikes a year at three plants across India (Chennai, Nasik and Noida). During the 70s and 80s TI-UK divested from the Indian company - so that today TI Cycles is a 100% Indian owned company (but one with 'a global outlook'). The names BSA and Hercules live on today in India as trusted and reliable brands and that is what you see on the roads on a daily basis. They have even branched out their range of products to include mountain terrain and electric bicycles (see the BSAHercules website here). 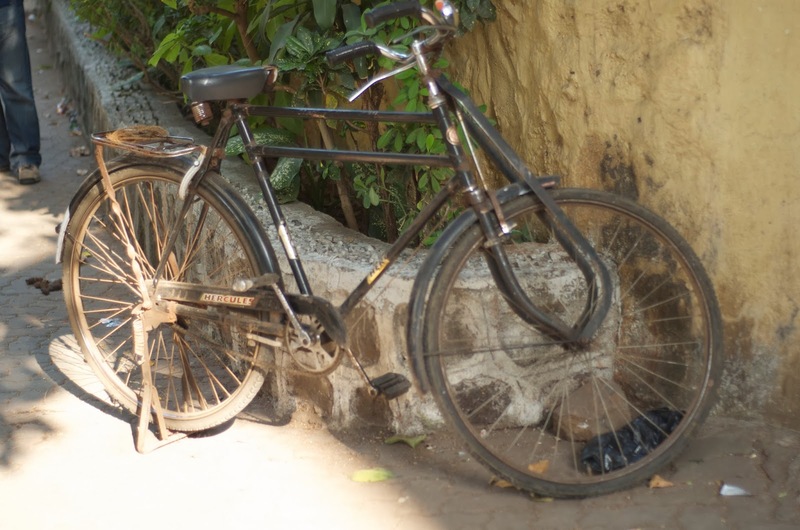 So there you have it - the history of Indian's best loved bicycle in a (not so) nutshell! Above & Below: It's amazing what you can get on the back of a Hercules! Between Trivandrum and Kollam, Kerala. 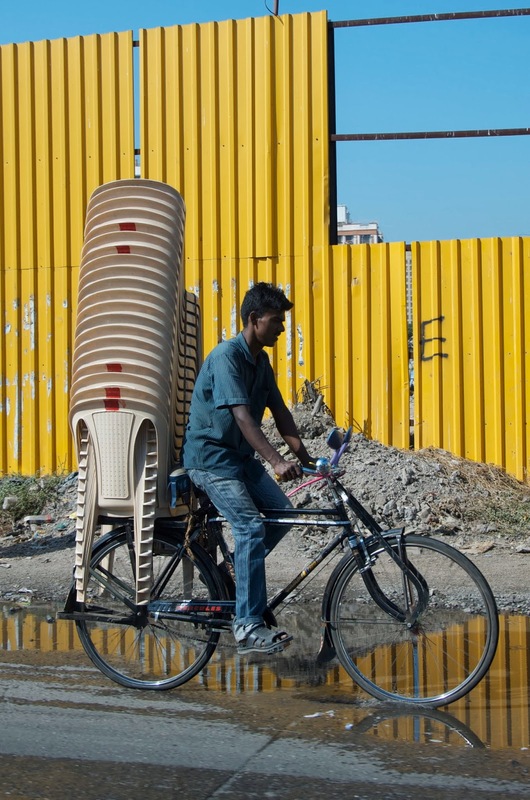 Demonstrating the environmentally friendly bicycle at the 2013 Kala Ghoda Arts Festival. 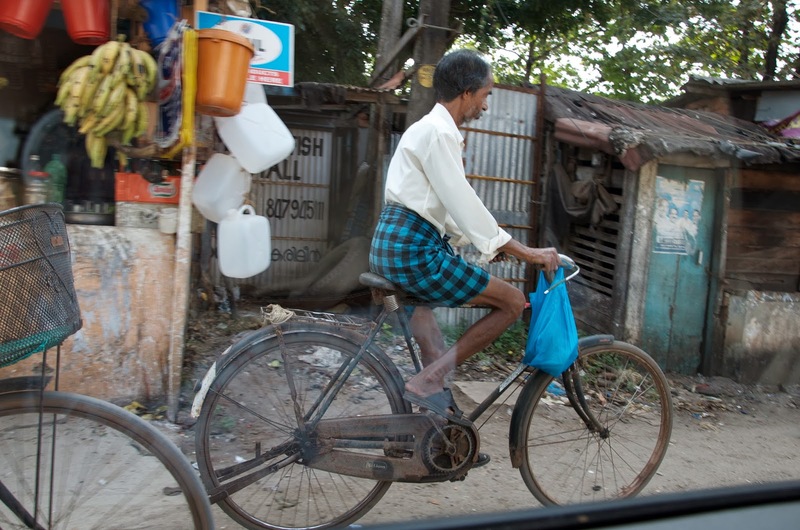 Note: The bicycle is so ubiquitous that I did not go out of my way to take these photos - they are all from my archives. Such an interesting post. 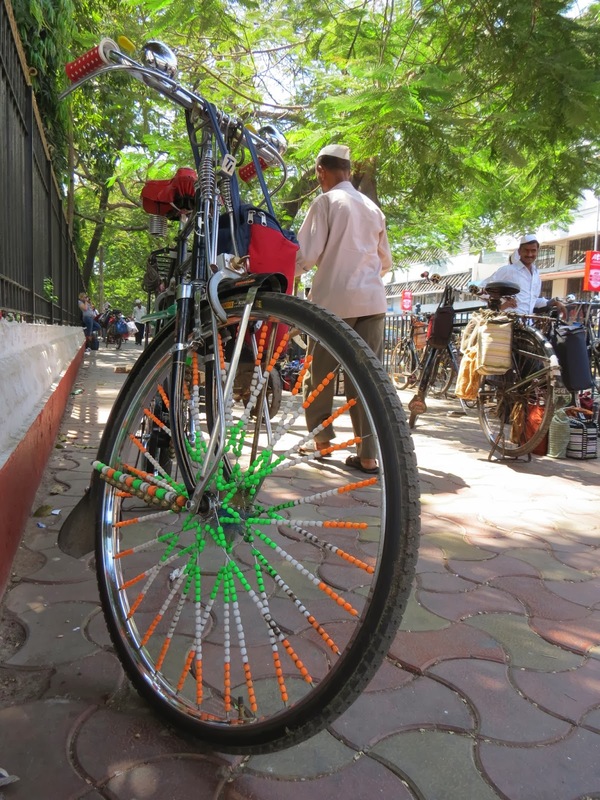 Especially like the bike with the spokes decorated with beads in the colors of the indian flag. 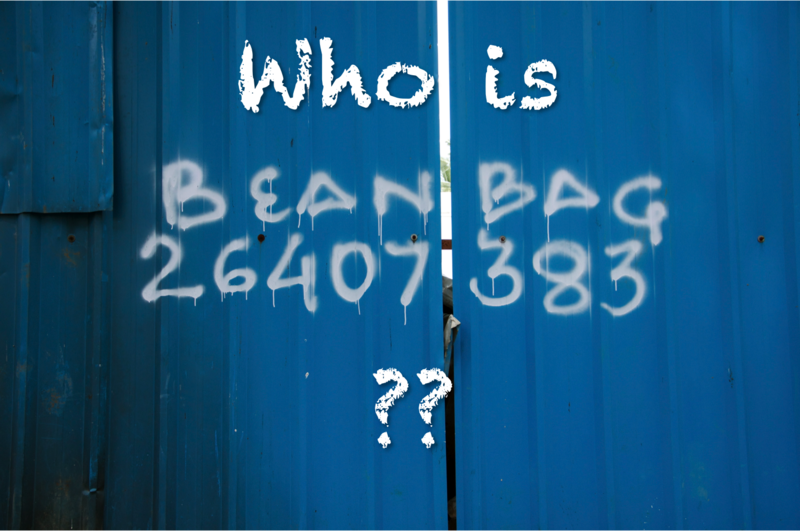 I stumbled upon your blog last week, and has added to my blog list. I browsed through some of your older posts already. Thanks Gaia, I hope you continue to enjoy my posts.